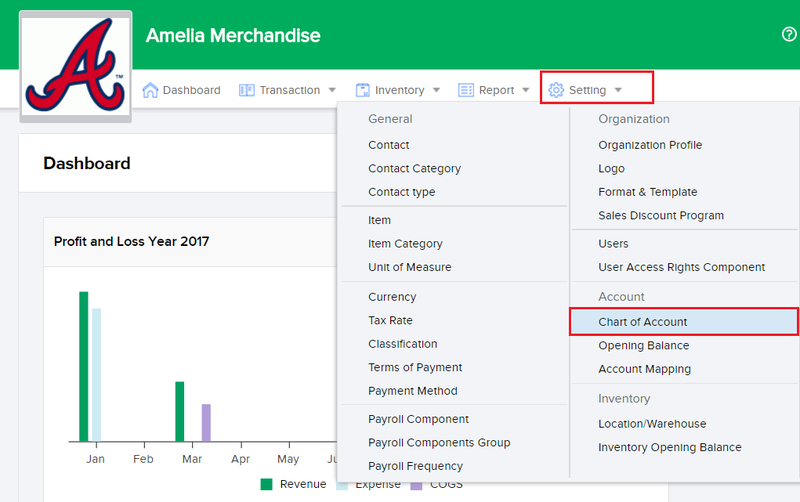 This option enables you to add an account you may require to your chart of accounts. 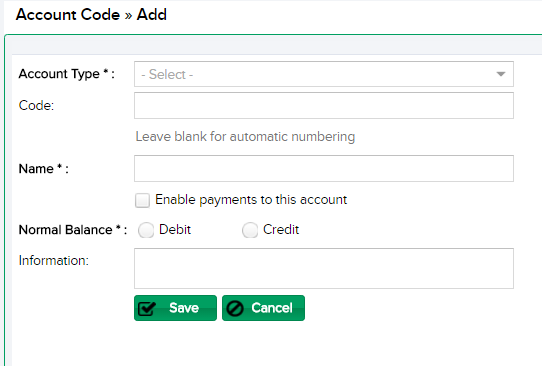 Choose to have your account as either a credit or a debit account. Click the Save button once you are done and the information you filled in is correct.